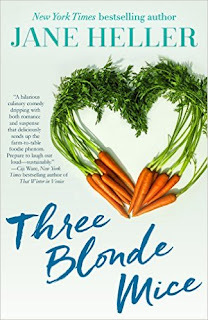 Satisfaction for Insatiable Readers: PRE-PUB PARTY: Three Blonde Mice by Jane Heller - REVIEW + CONTEST! 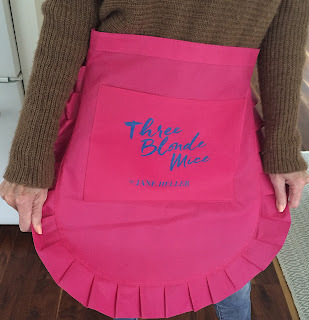 PRE-PUB PARTY: Three Blonde Mice by Jane Heller - REVIEW + CONTEST! Can you BELIEVE that it's already AUGUST?! I know I can't. I had to look at the calendar like THREE times to make sure I was actually seeing what I thought I was seeing and guess what....I was. Well, will wonders never cease. For my geographical area, that means as hot if not hotter temps (we don't cool down until at least late October....*ugh*), and back to school for the kiddos in just under THREE weeks. Good memories for me, impending doom for them as it brings their lounging carefree summer days to an end. As for us, that's right...you and me...that means even more great reads ahead because as busy as Spring/Summer are, Fall/Winter can be twice as hectic. I, for one, can't wait...and why should we! Let's get this August party started, shall we? In Jane Heller’s wild and charming novel of romantic comedy and suspense, three friends go on a cooking excursion with a famous chef, only to discover one of their classmates is very keen on practicing knife technique. 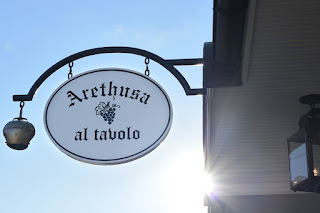 This is the story of what happens when agritourism goes one step BEYOND the table. It reminds us to be true to ourselves AS WELL AS others because you just never know whom you might offend with that little white lie and end up going from top chef to prime entree. 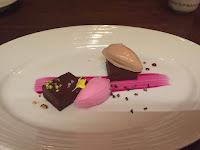 Between the murder mystery and the foodie adventure, one would have more than enough to occupy themselves with here, but the author does one better with these memorable characters. I could honestly say that in real life, I'd adore friends like these ladies. I mean, they're there for each other through thick and thin, aren't afraid to call each other as well as themselves out on any BS, and can work a secret arrangement (with good intentions!) with the best of them. Then there's all the other attendee's of the event...and potential KILLERS...adding their own flavor to the mix. From the too-good-to-be-true love interest to the slightly obsessed foodie groupie couple to the "I-bleed-Earth" pair, they are as varied as they ingredients they'll be working with. The Cultivate Our Bounty week was an awesome time to look behind the agritourism (didn't really even know the word before this book) craze sweeping the nation without ever getting your hands dirty....though I dare say, it sounds like FUN! Healthy for you, good for the earth, kind to the sources of our nourishment....not a bad mix. Jane Heller is the New York Times and USA Today bestselling author of Female Intelligence and Princess Charming. 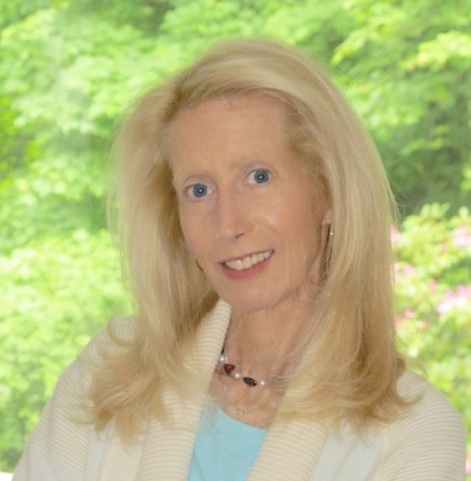 Her thirteen novels of romantic comedy and suspense have been entertaining readers around the world, along with her two books of nonfiction. Currently, she and her husband divide their time between New Preston, CT and Santa Barbara, CA. Special thanks to Chris at Diversion Books for ARC for review. (THANKS!) For more information on this title, the author, or the publisher, feel free to click through the links provided above. This title hits shelves TOMORROW (08/02/16), so be on the lookout for it on a bookstore shelf or virtual retailer of your choosing. In the mean time, I have an EXTRA SPECIAL SURPRISE for you....A CHANCE TO WIN! 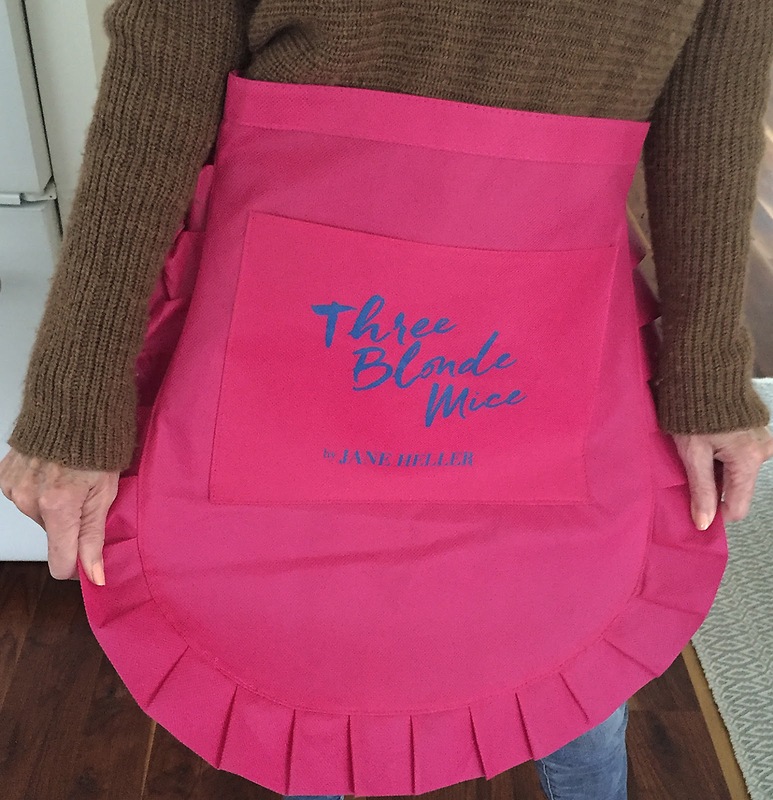 Thanks to the generosity of the Diversion Books team and author Jane Heller, YOU HAVE THE CHANCE TO WIN a custom apron to wear while cooking the book's bonus recipe, Dark Chocolate Marquise, courtesy of pastry chef al Tavolo, a farm-based restaurant in Connecticut! All you have to do is fill out the Rafflecopter below and you're in it to win it. *Entries accepted through midnight 08/07/16. US addresses only, no P.O. Boxes please. Winner will have 48 hours to respond with their mailing information for prize send out, otherwise a new name may be chosen. SFIR is not responsible for lost prizes. I haven't ever tried that type of vacation but it sounds very appealing. Thanks.